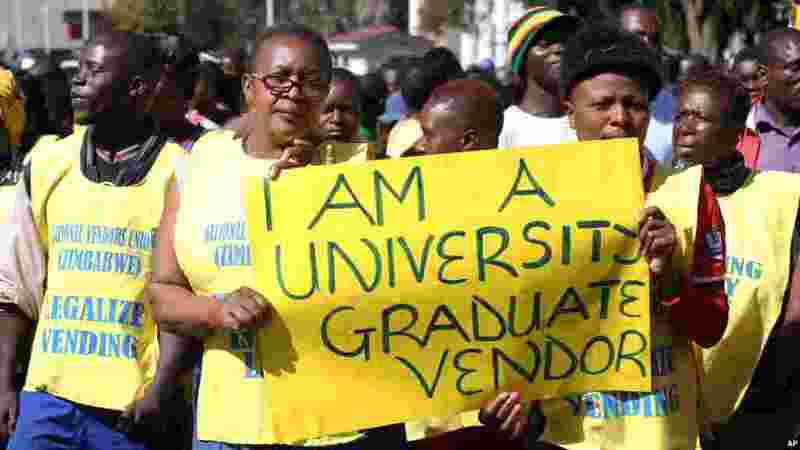 1 Zimbabwean vendors hold banners urging the government to stop their forced removals from the street during a demonstration in Harare, Wednesday, June, 24, 2015. Hundreds of vendors took to the streets of Harare demonstrating against an impending eviction from the streets. 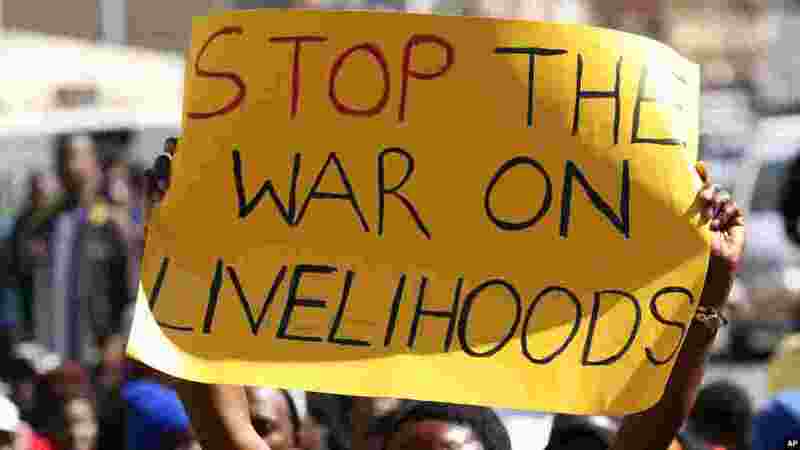 2 Zimbabwean vendors hold banners urging the government to stop their forced removals from the street during a demonstration in Harare, Wednesday, June, 24, 2015. Hundreds of vendors took to the streets of Harare demonstrating against an impending eviction from the streets. 3 Zimbabwean vendors hold banners urging the government to stop their forced removals from the street during a demonstration in Harare, Wednesday, June, 24, 2015. 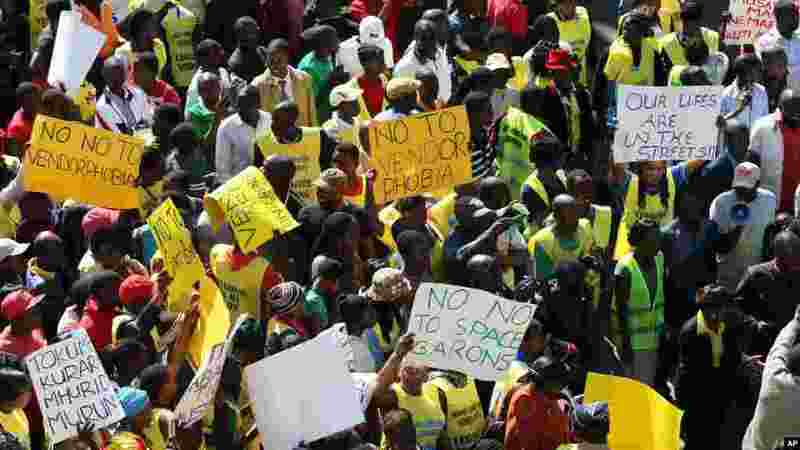 Hundreds of vendors took to the streets of Harare demonstrating against an impending eviction from the streets.